I am a delegate to the 2016 Democratic National Convention in Philadelphia from 24 to 29 July 2016. I was elected as a delegate from Florida Congressional District 17 that includes parts of Hillsborough, Manatee, Polk, Hardee, Desoto, Charlotte, Glades, Highlands, and St. Lucy Counties and I was pledged to support Sen. Bernie Sanders. Since the primary elections are over and Sec. Hillary Clinton has secured the number of delegates to be nominated for president, we now need to continue to support Bernie Sanders goals for the new administration. Sec. Clinton has agreed to work together to ensure many of those goals become part of the Democratic Party platform and I am prepared to support those efforts. The cost of participating as a delegate at this convention is borne by the individuals elected. A conservative estimate for my attendance ranges from about $3500 to $4000 and covers transportation, hotel and meals for the week. As a retiree, I am glad to have the opportunity to represent our people by working to establish party goals that will produce real change in our government. I would greatly appreciate any financial support you might be willing to give. Your support for me as a delegate will be an investment for our future. Unused money will be shared with other delegates in need. Your support for me as a delegate would be greatly appreciated. The DNC is over and sadly we were not able to secure the nomination for Sen. Bernie Sanders. However, Bernie and his supporters have begun a political revolution to bring about the changes we need in our country. It was truly rewarding to be with those folks who are committed to real change and "a future we can believe in." Sincerest thanks to all who contributed to helping me get to the convention. Please know that we delegates worked for you and are going to continue to do so by supporting progressive candidates for all elected offices. Your support was greatly appreciated. I am a delegate to the 2016 Democratic National Convention in Philadelphia from 24 to 29 July 2016. I was elected as the Bernie Sanders delegate from Florida Congressional District 17, which includes parts of Hillsborough, Manatee, Polk, Hardee, Desoto, Charlotte, Glades, Highlands, and St. Lucy Counties. We plan to work for the goals established by the Sanders campaign for the benefit of our people and the country. As we all know, serious change is much in order. 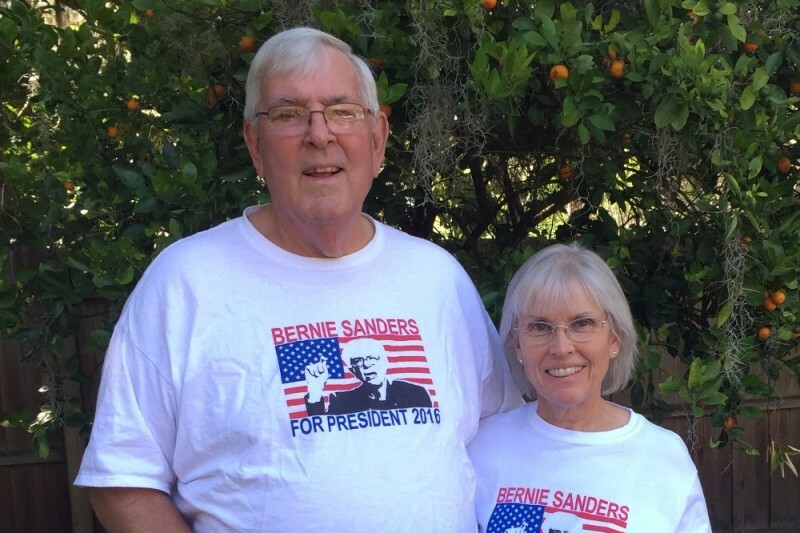 As a retiree, I am glad to have the opportunity to represent our people by working to support Bernie. I would greatly appreciate any financial support you might be willing to give. Your support for me as a delegate will be an investment for our future. As a retiree also, I will never vote for Hillary. I will write in Bernie in November. While he says he will vote for her, he has not endorsed her, so I'd like to know that you are actually a delegate for him and will vote for him at the convention.